Description: This stocky Pokemon has a flaming mane that shows it's state of health. 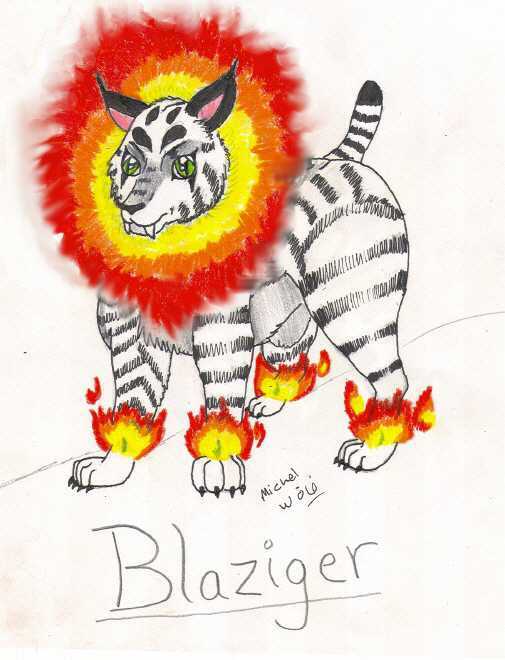 A big, multi-colored mane indicates a strong, healthy Blaziger. A weak and dull flame, however, is a sure sign of an old or diseased specimen. Sweet! I love the way it makes a great evolution from Tigember. Will you look at the rest of my fan-made pokemon?